We’ve been protecting the financial future of motorcycle accident victims in Houston & Texas for over 30 years by fighting for maximum compensation in every case. Were You Hurt In A Motorcycle Accident? How Do You Win a Head or Brain Injury Case? 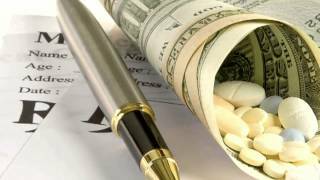 How Will I pay For My Future Medical Expenses From Personal Injury? According to the Texas Department of Transportation, 5,634 motorcyclists suffered serious injuries throughout the state in 2012. Because motorcycles are associated with dangerous behavior, insurance companies often look to blame riders in accidents. But in many cases, it’s another motorist who is to blame for an accident involving a motorcycle. The motorcyclist suffered substantial injuries and damages. Riders may seek compensatory damages in these cases, which include economic damages like lost wages and medical expenses; as well as and non-economic damages or human damages like pain and suffering, disfigurement or loss of enjoyment of life. Punitive damages are more difficult to seek in Texas. Generally, in Texas, plaintiffs have to prove extraordinary or willful negligence to be awarded punitive damages. If a motorcyclist has uninsured or underinsured motorist insurance (UM/UIM), he or she may rely on this coverage if the motorist is uninsured or doesn’t have adequate coverage to cover all damages. Calling a Houston motorcycle accident lawyer is a good first step to protecting your rights. How does comparative negligence affect motorcycle accident cases in Texas? Texas is a modified comparative fault state. In order to recover damages, claimants need to show that they were 50 percent or less at fault for the accident. Damages in any case are reduced by the claimant’s degree of fault. For example, if a party was 20 percent at fault and suffered $100,000 in damages, then his or her award is only $80,000 ($100,000 minus 20 percent fault). This may be particularly applicable if the rider wasn’t wearing a helmet. Helmet use likely won’t come into play if the rider suffered a broken leg because it had nothing to do with the injury. But if the rider suffers a serious head or neck injury, defendants or their insurance companies may argue that not wearing a helmet contributed to the severity of the injury; therefore, the injured biker is partially at fault. 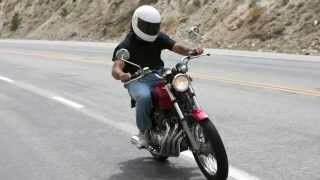 While Texas does not require riders older than 21 to wear a helmet if they complete a training course or have adequate medical insurance, it may be a factor in some motorcycle accident cases, and riders should discuss how their helmet use could potentially affect their particular case with a lawyer. What steps should I take to protect my rights and options after a serious motorcycle crash? Contacting a personal injury lawyer with experience in motorcycle accidents is a good first step. By doing so, the Houston motorcycle accident attorney will be able to conduct an early investigation and document the accident and your injuries. We help motorcycle accident victims. Baumgartner Law Firm is pleased to announce the Baumgartner Law Firm Undergraduate Scholarship for the 2017 school year. This scholarship is intended to help a student pursuing higher education. There’s no stipulation on the field of interest, geographic location or college attended for this scholarship. In order to apply, applicant must be enrolled or accepted at an accredited school & be an undergraduate. This scholarship will be awarded based on need and commitment to helping others. The deadline to apply for this scholarship is August 31, 2017. A winner will be announced by November 30, 2017. We will notify the winner by email or a telephone call and will post the winner on the Baumgartner Law Firm Facebook page and Google + pages. Fill out the form on this website – there is no other application necessary. Do not include additional material such as tax returns, bank balances or other information not asked for in the application. PLEASE DO NOT CALL ABOUT THIS SCHOLARSHIP. If you need to contact us, please do so by email at giving@baumgartnerlawyers.com. The Baumgartner Law Firm is a top-rated personal injury law firm in Houston, Texas, and takes great pride in giving back to the community. It is our hope that the Baumgartner Law Firm Scholarship will help a needy student achieve a top-notch legal education. Please like us on Facebook or follow us on Google Plus or see more information about the firm from this attorney directory. Please do not call the law firm asking for more information regarding the scholarship. 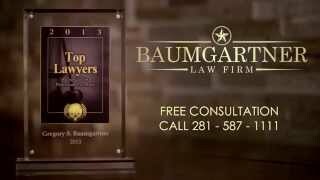 If you need to contact us, please do so by email at giving@baumgartnerlawyers.com. This is the scholarship application form. Details of the field of interest you are pursuing, why it is important to you & how you intend to help others through your career.